The club takes an active role in fundraising. 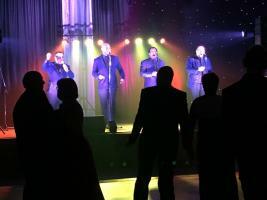 We are actively involved in many events within our ongoing Two-Lips campaign, The flagship event is the Spring Ball with a top class tribute band each year. 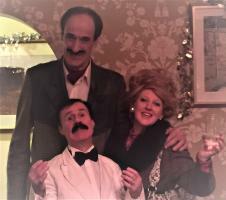 Our Christmas party was a very entertaining.....if unpredictable....evening of fun with the help of Basil, Sybil and Manuel.........Not forgetting Basil the rat who made a number of appearances! 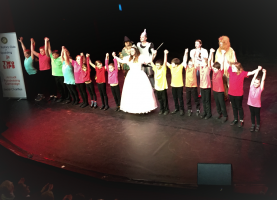 SADOS Wizard of Oz cast take well-earned applause! ROTARY IS NO SECRET ! The Rotary Club of Spalding and Welland continues to succeed largely as a result of a combination of efforts and unflagging enthusiasm of our members, to continue with both well established and indeed new charitable activities, including the now well-known Twolips campaign for local charities, the flagship event of which is the hugely popular annual TWO-LIPS BALL, featuring top-class tribute bands such as "THE RAGDOLLS" Frankie Valli band, the "BEACHED BOYS", the "THE DRIFTARS", and last year's "STAYIN'ALIVE UK" Bee Gees tribute band which was held SATURDAY 17MARCH 2018 AT SPRINGFIELDS EXHIBITION CENTRE. It was an enormous success, enjoyed by over 200 guests. The meal was outstanding, the atmosphere in the decked out room was exceptional. and the band.............WAS BRLLIANT! 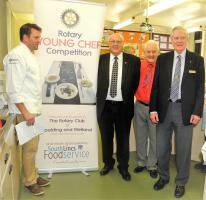 The Rotary Club of Spalding has been in existence for over 79 years but is very much keeping up with the times, and was joined by The Rotary Club of Welland Centenary in 2014 to form the new Rotary Club of Spalding and Welland. The club is dual gender and is open to all. Its main aims are fellowship and helping both the local and the International communities. Above all it's about having fun. The Club organises many local events such as the Two Lips charity week, the Age Concern Annual Concert at South Holland Centre, the Young Chef of the Year and the Gateway Sports and are always actively involved in the community. We actively welcome guests and potential members so If you would like to find out more please use the 'contact us' form. It is said that every minute of every day Rotary will touch the lives of millions somewhere in the world. By combining their skills and resources, members of Rotary are able to make a real contribution to the lives of others. In local communities alone, each club raises tens of thousands of pounds for community projects and local charities, often more. Members also volunteer their time - supervising community events, running a host of projects aimed at promoting the achievements of young people, coordinating educational programmes, and supporting local businesses. 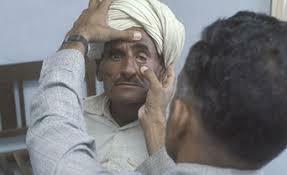 Last year marked 30 years since Rotary launched PolioPlus, its campaign to rid the world of polio. Beginning on Rotary's anniversary, 23 February, Rotary members worldwide will be holding events to celebrate three decades of polio eradication progress.